These terms and conditions outline the rules and regulations for the use of the Apolline Training website. By accessing this website we assume you accept these terms and conditions in full. Do not continue to use the Apolline Training website if you do not accept the full terms and conditions stated below. The CPD courses are single payment fees. The payment fees may vary depending on the CPD topic. The client will make a single payment using a credit or debit card. The client will receive access to the CPD course and one certificate per course. The course can be repeated as many times as necessary until the CPD course is passed. Apolline Training may at times offer free CPD Courses. The client will be able to access the free course once they have registered onto the course. The client will receive access to the CPD course and one certificate per course. The course can be repeated as many times as necessary until the CPD course is passed. Once registered the client is not permitted to allow anyone else access to the Apolline Training account for the purpose of taking a course on their behalf. Unless otherwise stated, Apolline Training and/or it’s licensors own the intellectual property rights for all material on Apolline Training. All intellectual property rights are reserved. You may view and/or print pages from http://www.apollinetraining.co.uk for your own personal use subject to restrictions set in these terms and conditions. Redistribute content from Apolline Training (unless content is specifically made for redistribution). The Company reserves the right to terminate or suspend access to the services for violation of suspected violation of the terms and conditions. Apolline Training may contain links or recommendations to other websites and third- party experts. Apolline Training do not accept liability for the content written or provided by third party companies. 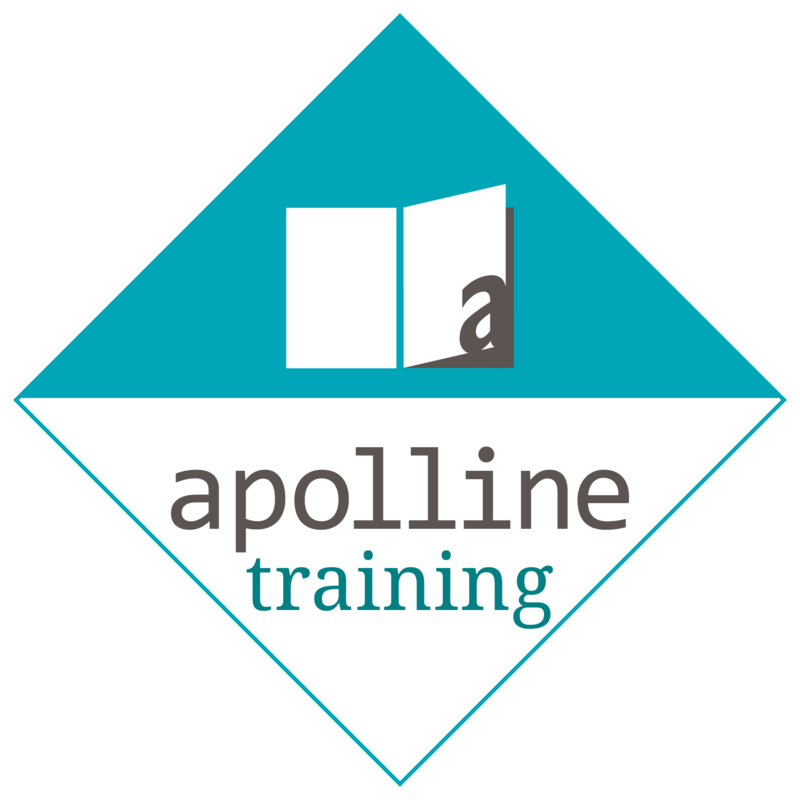 The Apolline Training logo should not be used for commercial reasons without written permission. The client should recognise that Internet traffic may affect the speed of the site and data download. Apolline Training shall not be held responsible for the speed of internet usage or downloading times. Apolline Training will make all reasonable efforts to ensure the services are accessible, maintained, with clear lines for fault reporting available to clients. Faults and repairs will be carried out when reported however, Apolline Training cannot accept responsibility if the service needs to be interrupted during the site repair times.